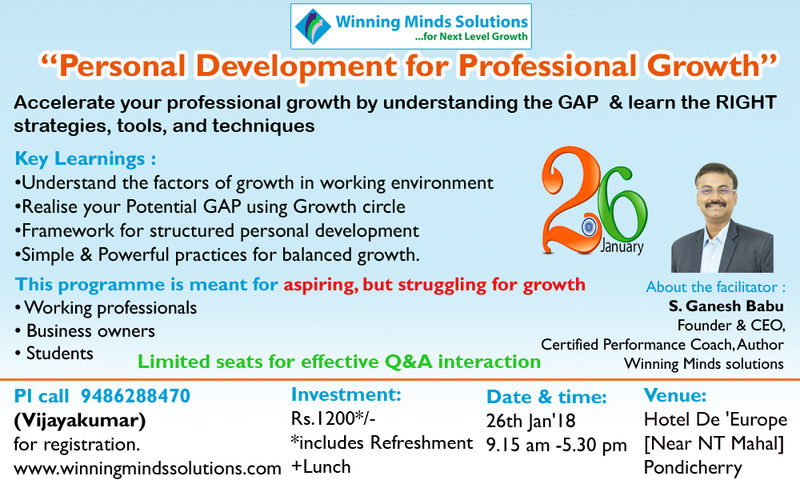 as part of our initiative to enable individuals to next level growth, we happy to announce one-day experiential learning session "Personal development for professional growth." on 26th Jan'18 @ Pondicherry. This session will be beneficial to understand the personal gap and to know the right strategies to accelerate carer growth. Suggest you attend this programme if you are aspiring for growth and also forward to your friends/colleagues for whom you feel it is required.